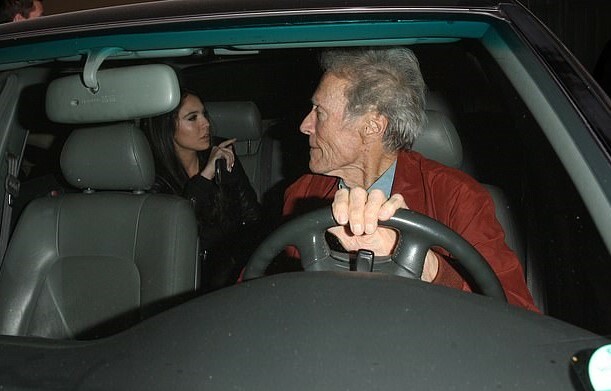 Clint Eastwood spotted with Mick Jagger's former fling, Noor Alfallah, 65 years younger than him. Mick Jagger's former flame Noor Alfallah, who is merely 23 seems to have a thing for older men. After her previous chemistry with Rolling Stone's musician, Jagger, 75, Noor is now claimed to be dating 88 years old filmmaker Clint Eastwood. Although the young lady denies the dating rumors, she was recently spotted with Eastwood leaving celeb hotspot Craig, after their dinner in West Hollywood LA. Alfallah, glammed up in black from top to toe looked stunning in a black leather jacket, black top, and a stunning black shiny boot. Clint dressed in a red jacket, blue shirt and brown pants drove off, turned his head from the paparazzi as Noor got in the back seat of the car. The two times Oscar Awards recipient denies the dating rumors and insists he and Alfallah are just friends. He reportedly answered to Daily Mail on their relationship status. "There is no relationship, we’re not dating. There is no relationship. We’re family friends, and my family was there and that’s it. My parents were there, other friends were there. Trust me there’s no relationship." Noor Alfallah last linked to 57-year-old billionaire Nicolas Berggruen further replied with "no comments" when asked who she is dating at the moment. Meanwhile, despite claiming she and the 88 years old celebrity are not having an affair, Noor is facing backlashes and negative judgments on the internet for being spotted with the film producer. Me and my mirror ! "omg, a young lady is dating a corpse!!" "if your name is noor alfallah and you’re dating men 60 years your senior, stop." "#NoorAlfallah oh, she’s a gold digger Way over town, that digs on dying men!" 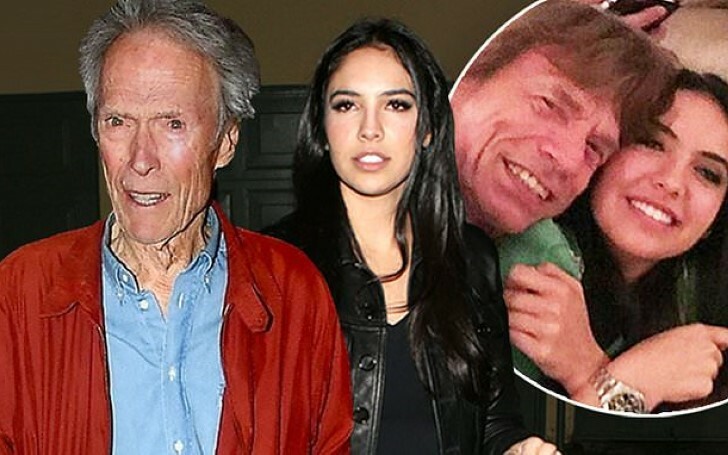 Eastwood is a father to 7 children; 32 years old Scott Eastwood, 25 years old Francesca Eastwood, 50 years old Kyle Eastwood, 46 years old Alison Eastwood, 22 years old Morgan Eastwood, 54 years old Kimber Lynn Eastwood, and 30 years old Kathyrn Eastwood. Eastwood, previously married twice to model Maggie Johnson, 88 (from 1953 to 1984) and reporter Dina Eastwood, 53 (from 1996 to 2014) dated Christina Sandera, 55 for the last seven years.